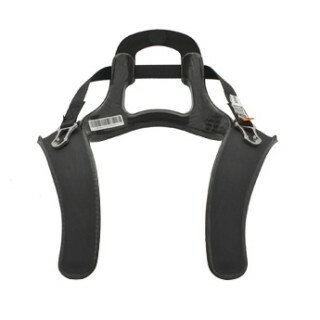 There are two main types of frontal head restraints available on the market and are designed by different manufactures to an FIA homologated safety test. 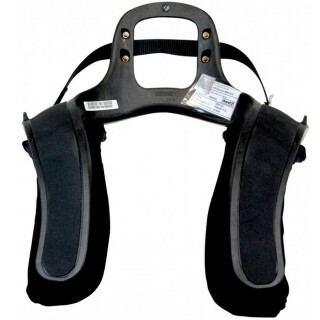 These devices are designed to stop the head thrusting forward too far which causes a severe whiplash back, and it is this rearwards movement that actually breaks your neck. 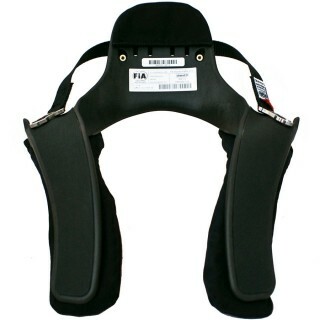 It’s important to note that FHR devices aren’t designed to prevent damage from a side impact and even though some can provide a level of assistance - it’s important to use a seat with ‘wings’ or side head restraint for adequate protection. These are currently not mandatory. 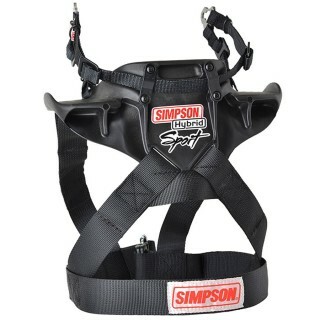 The Simpson Hybrid - the Hybrid FHR device is the latest and only device that has broken away from the original HANS design to offer the same protection but achieved in a different package. 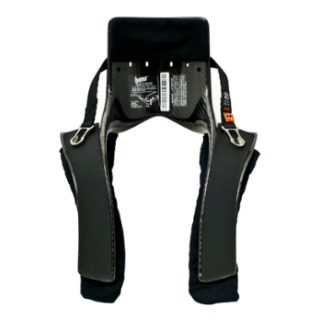 It is arguably a more discreet option and is worn on your body and fastened by a buckle at the front, with the helmet connecting tethers fixed to the unit that sits on the top of the back below your neck. 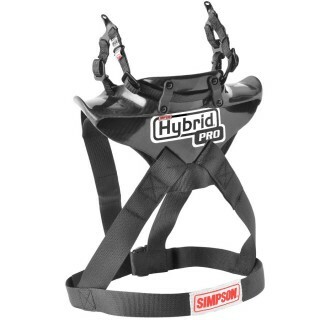 The Hybrid allows you to easily remove your helmet for road sections and keep the device attached to your body, removing it altogether would require you to step out of the car. However, it is possible to fit a quick release tether kit that, with a pull of two release cords will, with complete ease, allow the uncoupling of the tethers from the helmet much faster and easier.